Share Your Story. Win a Medal Block. We’d love to hear how you use our Medal Blocks. Send us your story, and we just might post it here. 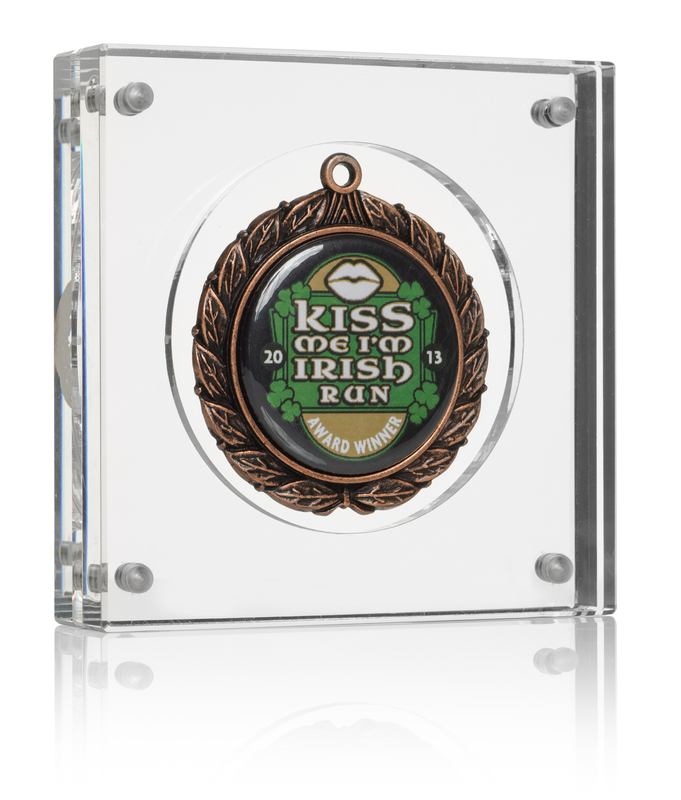 If it’s really good (based on our unscientific survey), we’ll give you a 6" Medal Block. Sound good to you? Then visualize your accomplishment, and send us your story today. Patrick’s Story: How a race became a stroll to remember. 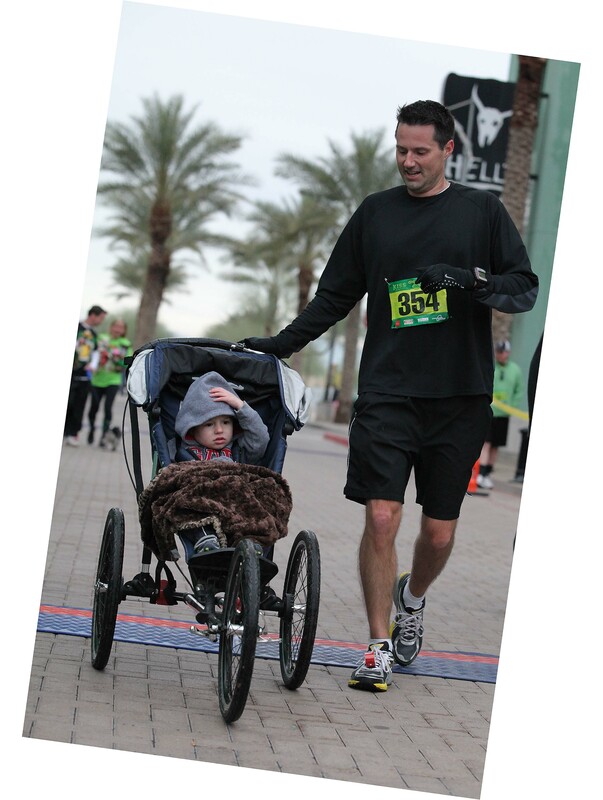 I’ve rarely run more than a 5K race with my jogging stroller. But when my son Zachary was 2, I decided to go for a record 17K, my boy by my side. Or in front of me, to be more precise. I’ll never forget it —especially now that I have a Medal Block frame to display the finishing medal. It was a chilly St. Patrick’s Day morning. I had to make sure Zachary was warm, which meant I ended up reaching over the stroller several times to tuck him in. I kept chatting him up so he wouldn’t get bored, which took extra effort and a bit more wind. It was fun, though, especially when I shouted through tunnels so he could hear my echoing voice, and his gleeful laughter. Pushing Zachary along added to my time, I knew, but I didn’t mind, even when he tossed his blankie into the road, forcing me to stop and go back after it. Despite those delays, I was able to keep a decent pace, good enough to finish 3rd out of 15 in my age group. I might have even been 1st without the stroller, but it wouldn’t have meant nearly as much to me as the memory of sharing the experience with my little boy. I will always cherish this event. 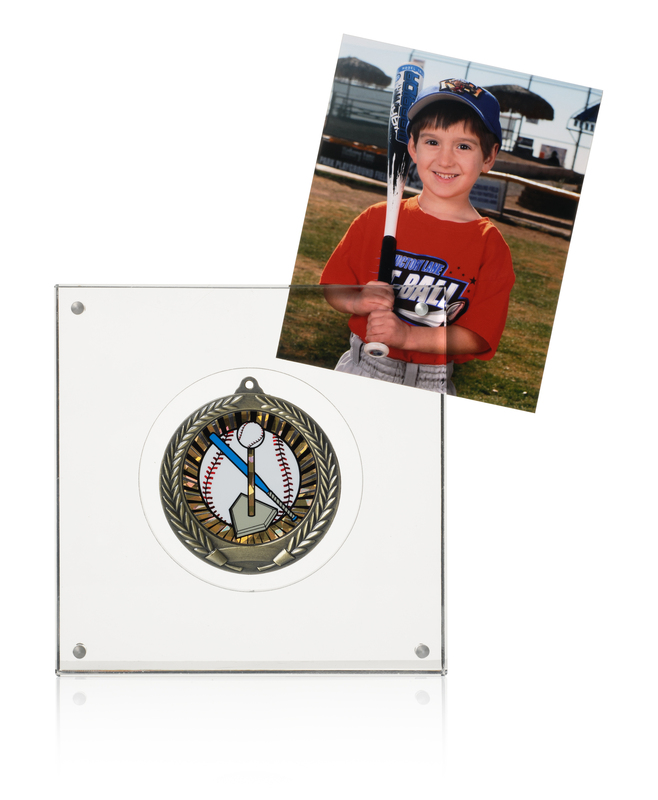 Ethan’s Story: He hit a homerun with dad, Medal Block’s founder. My son Ethan earned this medal for playing on his first-ever T-ball team. Sure, no scores were kept, no records recorded. And since he was only 4 years old at the time, Ethan might not even remember the event. But this medal was important to him then, and it will always be significant to me—but for different reasons. You see, this was the first genuine medal ever mounted in a Medal Block. And what’s more, Ethan specifically asked that it be put there. I didn’t suggest it. The Medal Block was actually a prototype I had out on the kitchen counter. When he saw it and said to me, “Dad, can we put my medal in there?”, I took it as a definite sign I’d developed the right product. After the medal had been mounted a while, someone in the family decided to insert that photo of Ethan holding his t-ball bat. I thought it was an excellent touch, and it’s still displayed like that today. Email a picture of your medal, the name of the event and the story behind the medal to info@medalblocks.com. If selected, we will send you a free 6" Medal Block. Please include a picture of your medal and a brief story (300 words or less) about the importance of your medal.